Whisk mayonnaise, yogurt, lemon juice and salt in a large bowl. Add chicken, apple, grapes, celery and 1/4 cup walnuts. Stir to coat well. Serve topped with the remaining 1/4 cup walnuts. 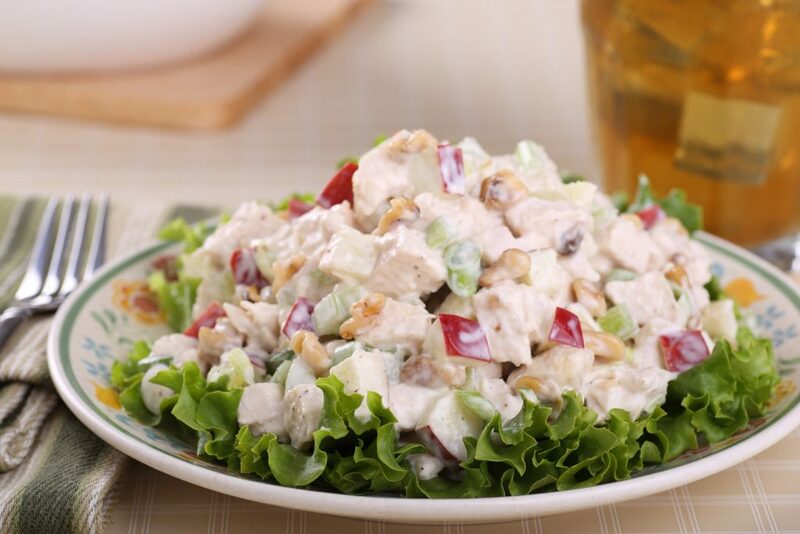 Enjoy Your Chicken Waldorf Salad! Per serving: 356 calories; 16 g fat (2 g sat, 3 g mono); 78 mg cholesterol; 23 g carbohydrates; 1 g added sugars; 31 g protein; 3 g fiber; 408 mg sodium; 537 mg potassium.